The future for intelligent building design is bright. This is a field that beckons innovation and offers room for growth. At present, only 10% of all US buildings have any sort of intelligent design and that’s usually only to control the HVAC system. This one statistic promises that automating the remaining 90% holds limitless options for integration. 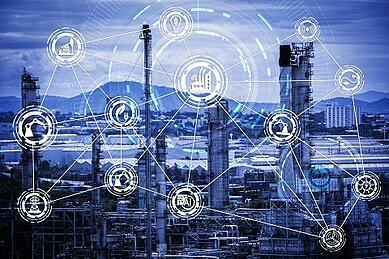 The move toward a world where all facilities have intelligent design and total room automation will be composed of many steps that all happen via the Internet of Things (IoT). Smart building designs are beginning to be integrated and run from a single platform that coordinates, schedules, monitors and analyzes via the IoT . This single interface will be able to integrate the technologies of many different companies and manufacturers. This is already happening on a wide scale. 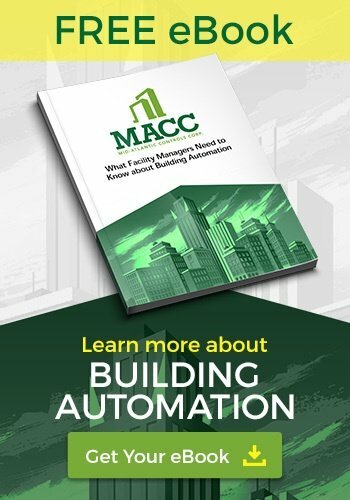 Your facility doesn't have to stick with just one equipment manufacturer for building automation equipment, instead you can pick and choose which products work best to meet your organization's particular need and then integrate them under one platform. We are all familiar with the traditional keyless entry. The future is quickly moving toward buildings, offices, vaults, lock boxes, “safe spaces" - everything being keyless. Perhaps the technological advances in this arena will be from key cards to Smartphone QR codes to fingerprints. Many organizations already utilize microchipped keycards. This could be taken a step further to deliver a plethora of employee information to the system. When an employee lays their card on the keypad at the front entry, they are noted as present and their office “turns on.” The HVAC, lights and blinds may adjust to suit their particular tastes. Perhaps the Keurig begins to brew their favorite coffee. Imagine that every employee has their own QR code on their Smartphone. They’d not need to carry around a keycard; instead, they could simply scan their work QR code upon entering the building. This would be handier than a keycard as people tend to keep their cell phones with them. Identifying information could be tagged to fingerprint or retinal scan. All the information that would be on a card or in a QR code could be tagged to the fingerprint. Thus, when an employee walks into the work facility and presses their thumb against a fingerprint scanner or looks through a retinal scanner, the building’s automation would begin that employee's day. Predictive intelligent building design is based on patterns, habitual behavior and probabilities. Buildings could be designed to recognize the traffic patterns, room and hall usage of the people inside and automatically adjust the lighting and HVAC to accommodate those patterns and behaviors. This could go a step further with employees who scan into work. The moment they scan in, the building predictively turns on different systems according to that employee’s usage. If an employee is a trainer and presents every Monday at 10:00, the system could adjust the air conditioning or heating in the scheduled conference room to the presenter’s taste 15 minutes before the presentation. Five minutes before the presenter enters, the blinds could close to keep out light as the computer and LCD projector turn on and begin warming up. The computer could automatically sign in and access the presentation (the employee had saved to the cloud Friday afternoon) as the employee is walking through the building to the conference room. Intelligent building technology will blend into the background of a building so that people won’t even be aware of the technology. Receiver-speakers could be planted unobtrusively into walls and desks to pick up voice commands and perform them: “Computer, pull up the Johnson file. When the meeting starts, dim the lights and project the report so that we can see it.” Then, in 15 minutes, when the Smart building notices that the conference room is full, the lights dim and the first page of the report flashes on the screen based on earlier voice commands. With intelligent building design, a building’s system can be designed to run self-diagnostics. It will be able to capture machinery and equipment failure at the outset. It could take the affected section off-line, repair the problem and put it back online. 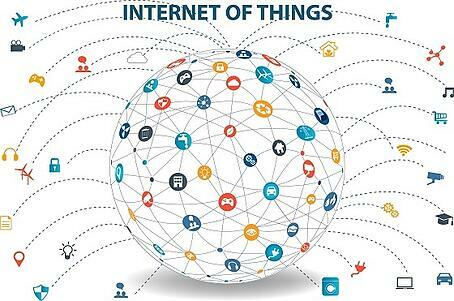 If the problem isn’t in the system’s database, the system could search the IoT for similar problems and possible solutions. Such systems could constantly search the BAS to determine instances of waste or inefficiency as well. These are just a few directions where intelligent building technology is here or is headed. Many more will come. With each advance and step forward, new ideas spring up. Innovation is taking BAS to new and exciting heights of integration and functionality.